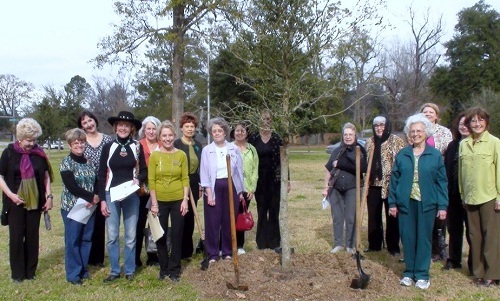 Arbor Day - Louisiana Garden Club Federation, Inc.
Arbor Day is a nationally celebrated observance that encourages tree planting and care. Though usually observed in the spring, the date varies, depending on climate and suitable planting season. The state of Louisiana designates the THIRD FRIDAY in JANUARY as Arbor Day. Lafayette Garden Club "Arbor Day" Planting. Diggers & Weeders Garden Club plant trees for Habitat for Humanity.